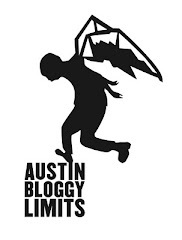 AustinBloggyLimits - An Austin Music Blog: Best Coast | Wavves | No Joy @ Emo's! Best Coast | Wavves | No Joy @ Emo's! The only thing I knew about Best Coast was that Austin Bloggy compared front girl Bethany and Wavves front man Nathan with my personal loves Jenny & Johnny and that my friends listened to them a lot. Needless to say, I was incredibly excited, although clueless about what I would experience. No Joy, label mates of Best Coast on Mexican Summer, started at 10pm to an already crowded Emo’s. It was probably the earliest I’ve seen Emo’s that busy, even compared to sold out shows I’ve attended in the past. They played a very fast, but pleasant 30 minute set. Shoegazey, lovely lady sounds fluttered through my ears while I secured some drinking options and located my show-watching buddies. In hardly any wait at all, Wavves took the stage to beach balls a flyin’. I’m pretty sure there were a few inflatable aliens in the air with those beach balls, which was fine because some of the people were dancing in the same vein. Amidst the pumped fists, and I’m sure the mosh pit up front, I found myself ‘ooh-oohing’ along with the rest of the masses. By the time Best Coast started, Lonestar made me forget to understand what time it was. I became quickly enthralled with the repetitive, simple, yet very effective lyrics. “I love you. I miss you. I hate you. Fun. Boyfriend.” There was a lot of “I love Austin” “I love my cat Snacks” “I love my new guitar that I got in Austin” banter between songs from Bethany. Their set made me super happy from what I remember. What I love about bands that headline at Emo’s is that it is really late and the crowd is mostly drunk by this time. I think I heard that Justin Beiber is going to play SXSW, I heard someone yell BEACH HOUSE! When Bethany started crooning, “I wish he was my boyfriend,” the man in front of me said he wished he were 16 so he could enjoy that song. Listen man in front of me, I’m 30 years old and I completely relate to those lyrics. And judging from the unison voices screaming around me, I definitely wasn't the only one!